The easy way to pin down your netting without tearing. Easy to insert and pull out again. 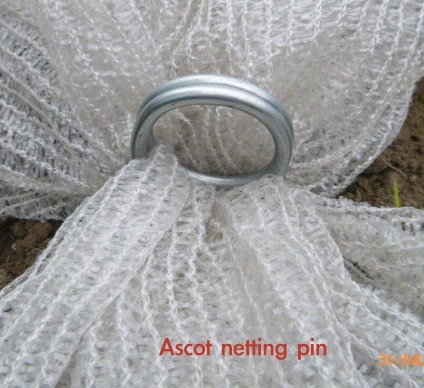 Net pins come in a single loop and are supplied separately or included in the cloche kits. The pins are long enough to hold the netting without tearing and go deep enough into the soil to give excellent anchorage. Pre-galvanised steel means rust is not a problem and a long life , real value for money!